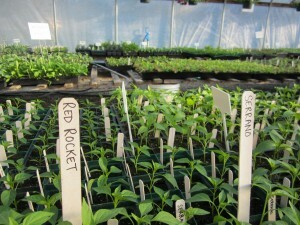 Our first weekend of the Seedling Sale went fabulously, thanks to all the great gardening folks who came out to the farm! Justin and I enjoyed meeting members of the community and it was great to see people getting excited about all the veggies. Some especially popular plants were Sun Gold cherry tomatoes, Gourmet sweet peppers, mixed-pack eggplants, and brussels sprouts. We still have lots of everything! 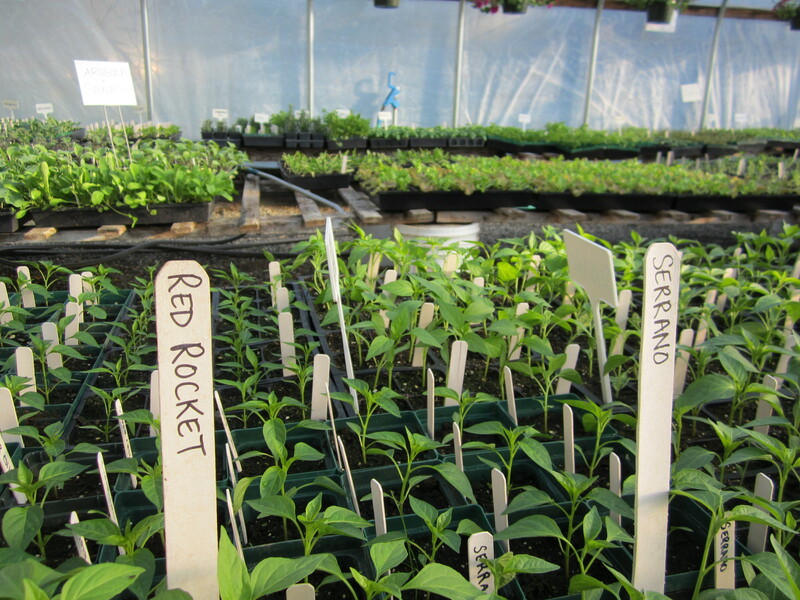 Remember that Littlewood has lots of warm-loving seedlings like melons, winter squash, cucumbers, tomatoes, eggplant and peppers for planting in your gardens later in May (or June, if you’re very cautious!) Some of these were just popping out last weekend; they’ll be perfect for planting time! You can also give us a call if these times don’t work for you and we’ll make sure to have someone around when you come. Or you can just swing on by! Previous PostGearing up for the Seedling Sale!Next PostBarre Farmers’ Market Begins Tomorrow! Harvest season & Bulk Basil Boxes!